His Friends That We Cannot See. There is a giant caterpillar. He eats everything. Houses, cars, couches, shoes. Of course his favourite thing to eat is the branch of a tree. There are some very friendly Ghosts who stay there all day in the dark beneath his bed to protect our house. Recently Elsa and “Ona (No not Anna!) have joined the family. They are his sisters. Elsa made him an ice-back pack that he keeps in his wardrobe. Don’t worry though it does not melt. Elsa keeps her ice phone in her backpack. They ride their bicycles to the library with us. Elsa also put ice all over our house. 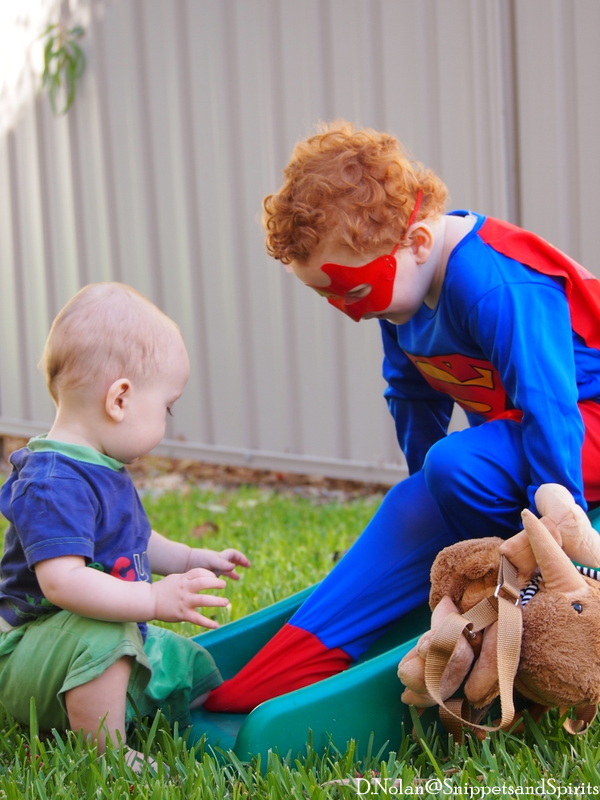 All the super hero’s also look after our house. They have breakfast with us and then the go outside to catch some baddies that seem to get caught up in the trees. The super hero’s also love to come to the library on their bicycles. They must always cycle behind him though. Sushi is also a good friend. She likes going on the swing and to the shop for apples. Sushi is a bit shy I think, but she likes to play in the sand pit. Sushi’s best friend is Cinderella. Cinderella is my favourite. She has been living with us the longest. Cinderella sleeps beside him, cuddles him and holds his hand. Cinderella likes to dance and wears a lovely blue dress. I am comforted by her presence I think she is a good mother figure for him she watches over him when he is in his bedroom playing and sleeping. His imagination is boundless. He takes me into his world and talks and talks he sometimes forgets to take a breath. I want to record every word he says. It is magic in its purest form. A gift I hope he never looses. In a way it is sad you know. I wrote the above paragraph probably about 4 months ago. These friends unfortunately do not visit us much these days. That imagination is so precious. I hate that it must become tarnished by the real world. We went to a children’s fiesta this weekend in Fremantle. 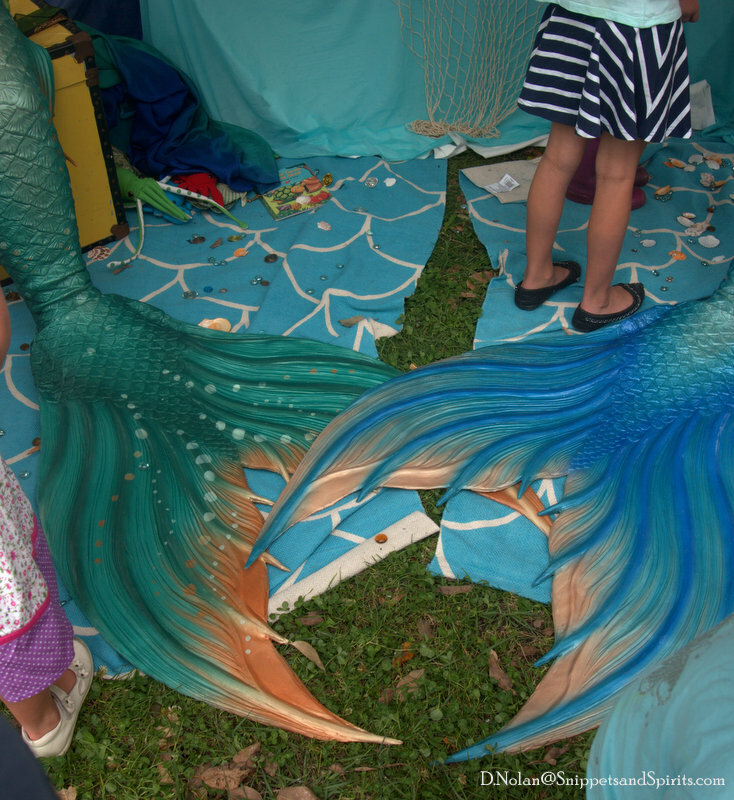 My little man of the big imagination met some real live mermaids. He was completely and utterly besotted. He fell for mermaid Amelia. She had long blond locks and sparkly blue eyes. He wanted to touch her tail but he was too shy. Instead he just stood and gazed adoringly at her with a shy little smile when she spoke to him. She gave him a gold coin which he now treasures. 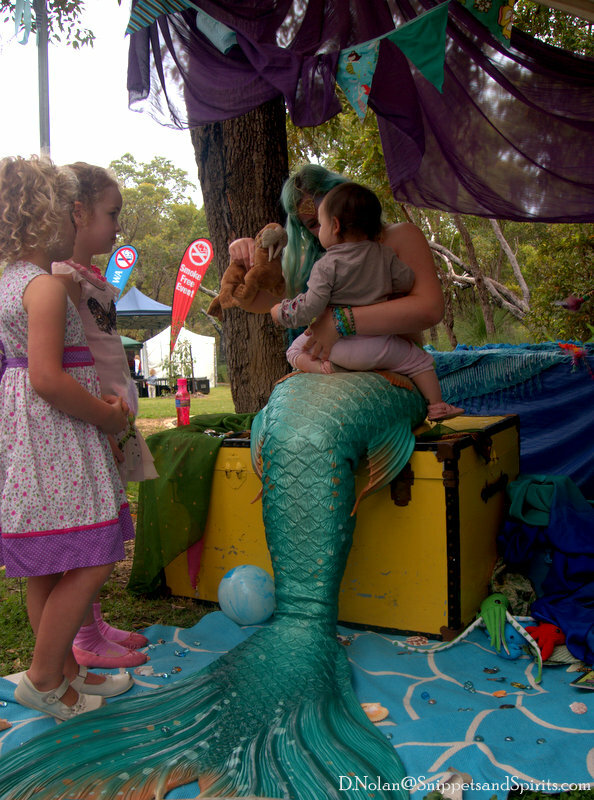 Mermaid Amelia was continually surround by children. Little girls mostly. I could hear their excited little voices ask her “Are you a real mermaid”. I loved that they believed this beautiful creature was real, that she spent her days swimming under the ocean with her fishy friends. It reminded me to keep looking for the magic. It made my heart swell. It made me want to continue to capture the enchantment “the spirit of the child” for times when the harsh reality of the world threatens to shatter the love. How do you preserve your imagination? Did you have an imaginary friend? Where do you find magic?